Ships today if you order in the next 12 hours 9 minutes. 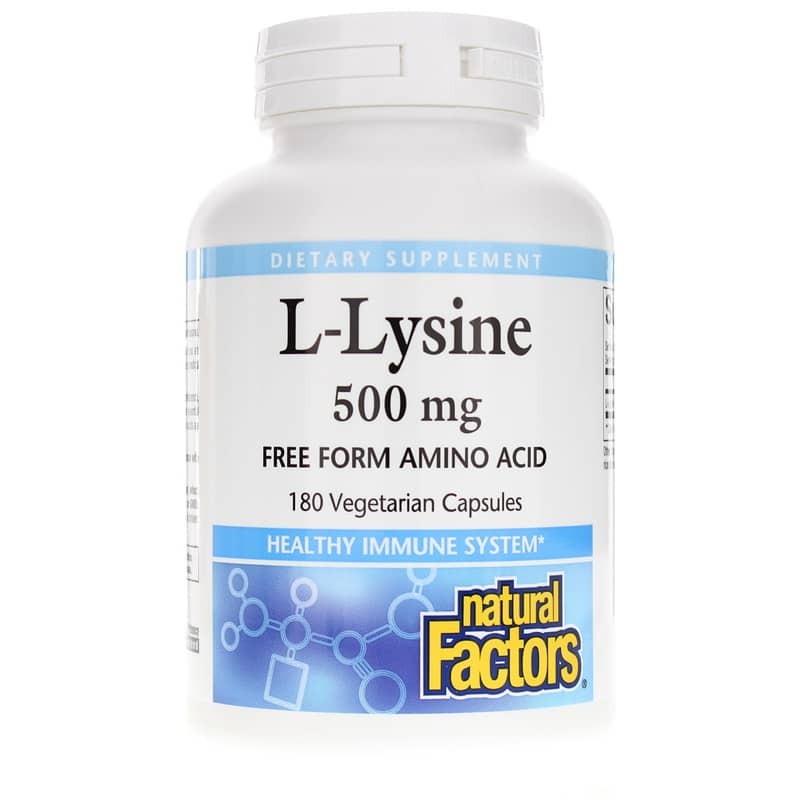 L-Lysine from Natural Factors is a dietary supplement that is formulated with L-Lysine, an essential amino acid, to support a healthy immune system and response to internal challenges. 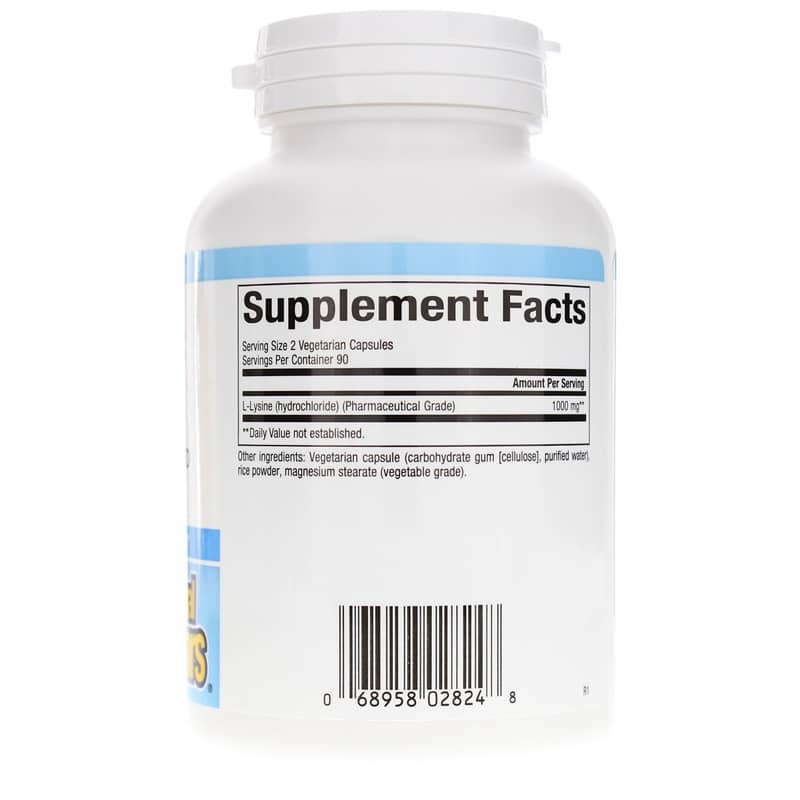 L-Lysine is not produced inside the body, but is an essential building block for protein and helps to stabilize collagen and elastin, which support healthy-looking skin and healthy tissue. 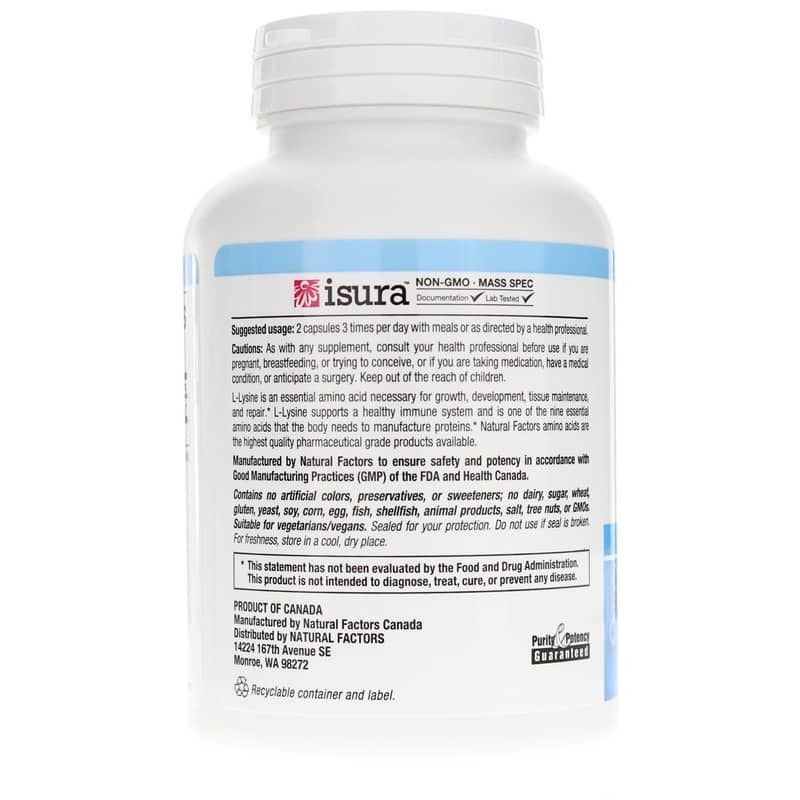 This L-Lysine supplement may support several normal functions in a healthy body, including a support for a healthy immune system that seeks to support normal muscle growth, temporary relief from occasional pain, and blood sugar levels already in the normal range. Other medicinal properties of this compound are believed to benefit healthy bones, fatty acid synthesis, and may promote wakefulness. Provide your body support during internal or microbial challenges with an L-Lysine supplement that seeks to support a healthy immune system. Other Ingredients: vegetarian capsule (carbohydrate gum [cellulose], purified water), rice powder, magnesium stearate (vegetable grade). Contains NO: artificial colors, preservatives or sweeteners; NO dairy, sugar, wheat, gluten, yeast, soy, corn, egg, fish, shellfish, animal products, salt, tree nuts or GMOs. Vegetarian/Vegan. Adults: 2 capsules 3 times per day with meals or as directed by a healthcare professional.